Toddlers have relatively small stomachs and appetites so giving snacks between their main meals gives them extra energy and helps to refuel after their super fast metabolism burns up the energy they have. By snacks, I mean healthy foods such as fruit, ham and cheese cubes or boiled eggs, rather than empty calories like chocolate and biscuits which I’m sure we all see as a quick fix sometimes. If like me, you’re a working Mother, time can be your enemy. I would love to spend hours cooking family meals, making my own healthy treats or individually chopping mounds of fruit, sadly time means that, that’s usually not an option. When I don’t have time to be Kirsty Allsopp I try to chose the healthiest options I can. 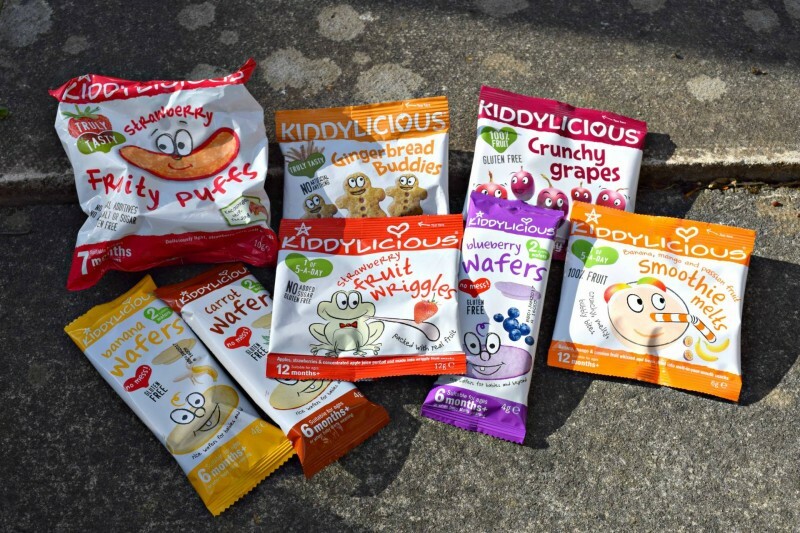 I opt for brands like Kiddylicious, who are a UK based children’s food company whose ethos is about taking the finest ingredients and transforming them into delicious snacks. 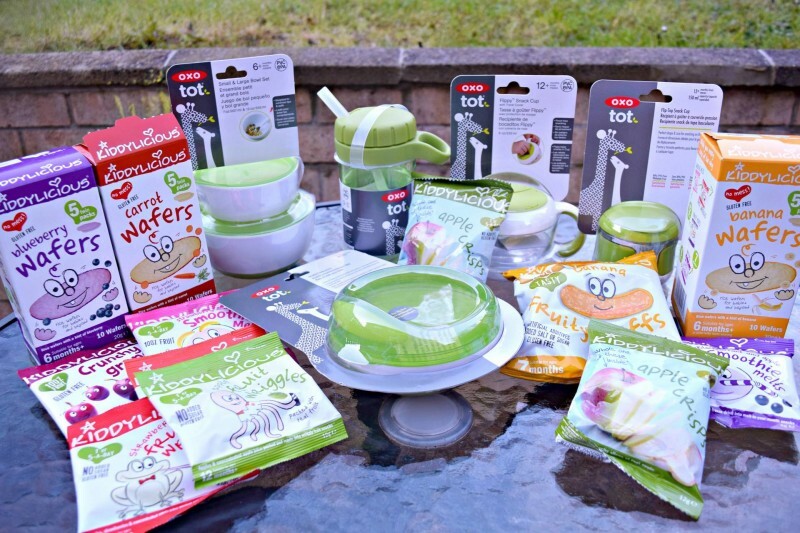 Kiddylicious make a great range of products which are suitable for various different stages of weaning. They use fruit and veg such as apples, bananas, peas and carrots and slice them down into bite sized pieces, perfect for little mouths. The best part is, each packet contains no added sugar and is made with 100% real fruit or veg, with some contributing to the nationally recommended five fruit and vegetable portions a day. 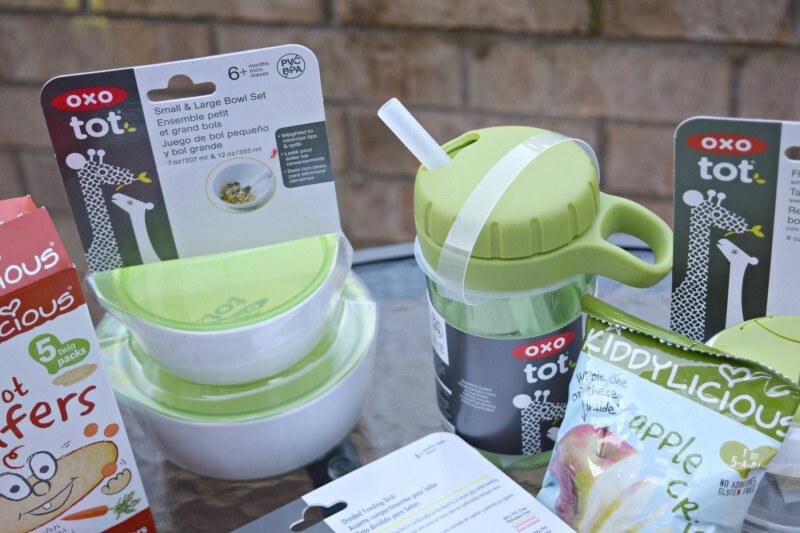 We were also sent some great Oxotot products to store our Kiddylicious snacks in. 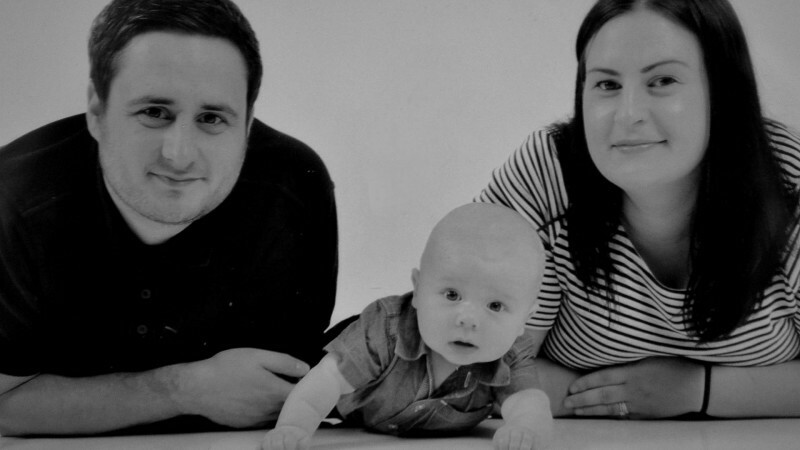 I’m no stranger to Oxotot, we’ve used the products since the little mans birth, and the quality and price are great. 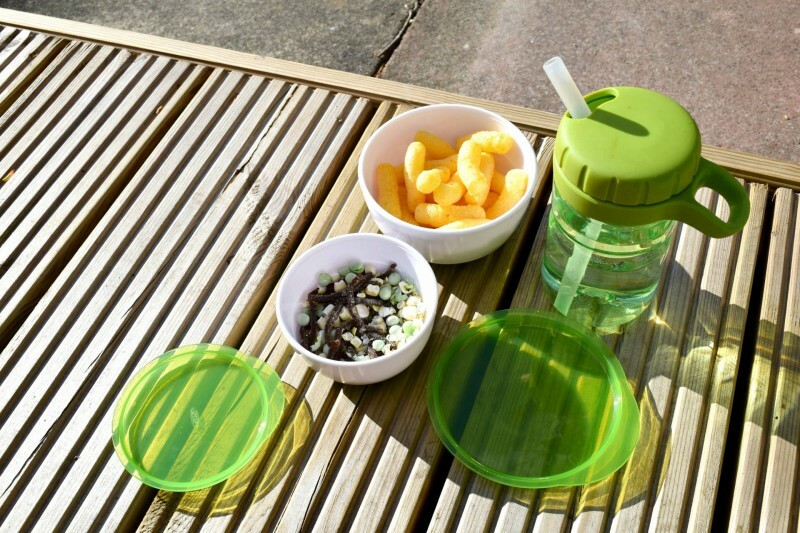 The Flip top snack cup is perfect for the car or to tuck inside a change bag. 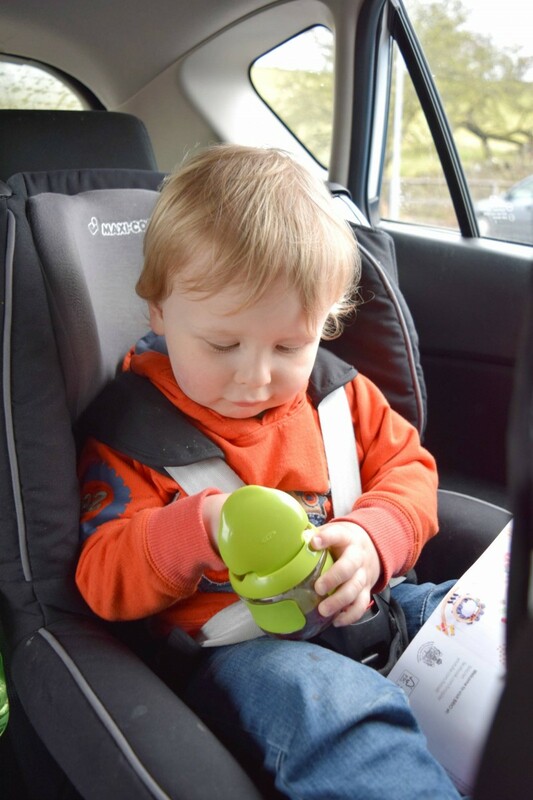 It’s easy flip lid means little fingers can open and close it themselves and it’s the perfect size for Kiddylicious fruit wriggles. I love the large and small bowl set from Oxotot. 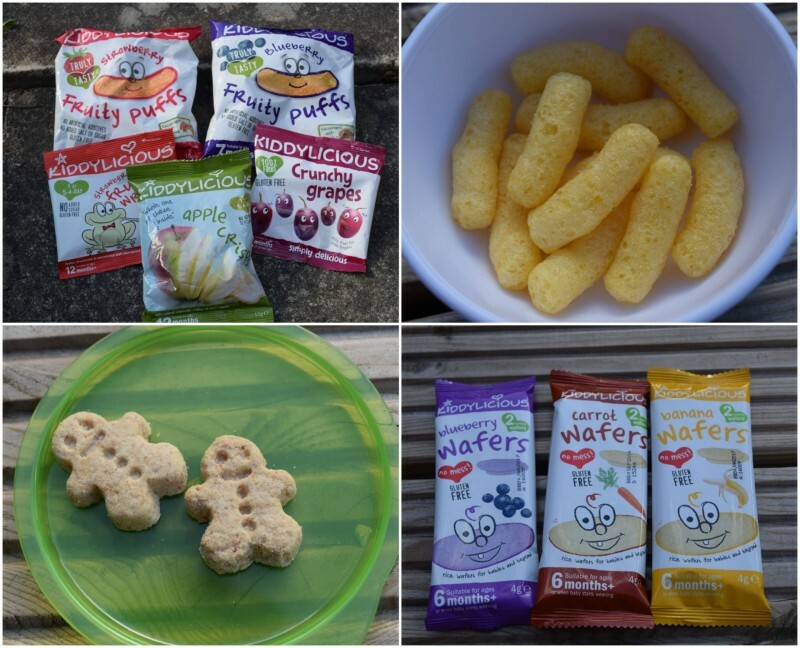 They’re great to use as feeding bowls for younger children but for us, they’re perfect for storing larger snacks like the Kiddylicious fruit puffs. The lids make them air tight so if the snacks aren’t eaten straight away, they’ll taste perfectly fine the next day. Banana wafers – The banana wafers would be perfect for weaning as they’re suitable from 6 months. They’re made using rice flour so are gluten free and are just the right size for a quick snack. They’re crunchy so great for teethers but they also melt in the mouth. They don’t have a lot of flavour (think faintly banana flavoured prawn crackers) but they’re a healthy. simple snack which is ideal for between meals. 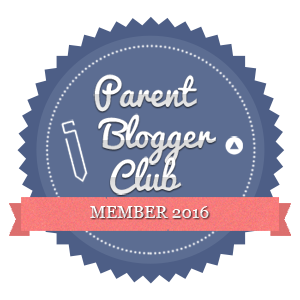 Gingerbread Buddies – I’ll admit Mammy likes these ones too! They’re tiny little gingerbread men which are crunchy and tasty. I just wish the packets were larger! 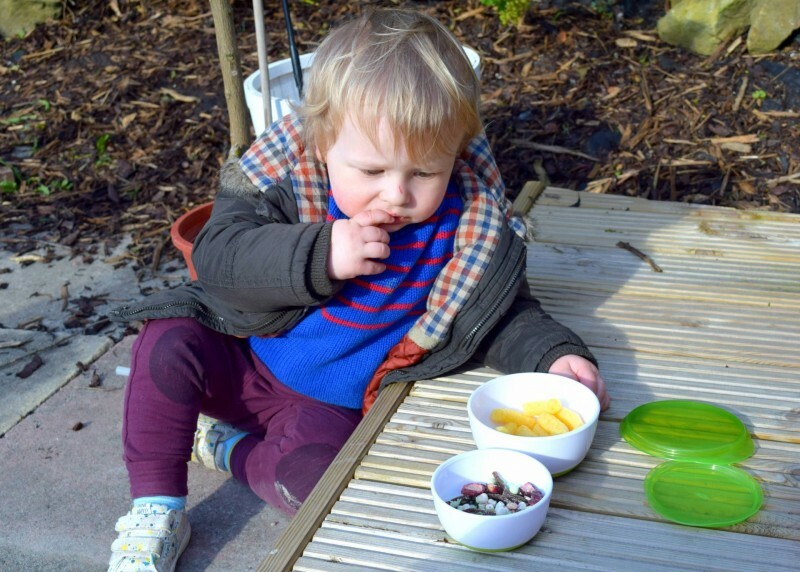 Crunchy Grapes – The little man and I both love the crunchy grapes. They’re such a simple concept – juicy, tasty grapes that have had the water removed which creates a light, melty texture that dissolves easily in the mouth. They’re 100% fruit with absolutely nothing else added. They taste naughty but they’re not! 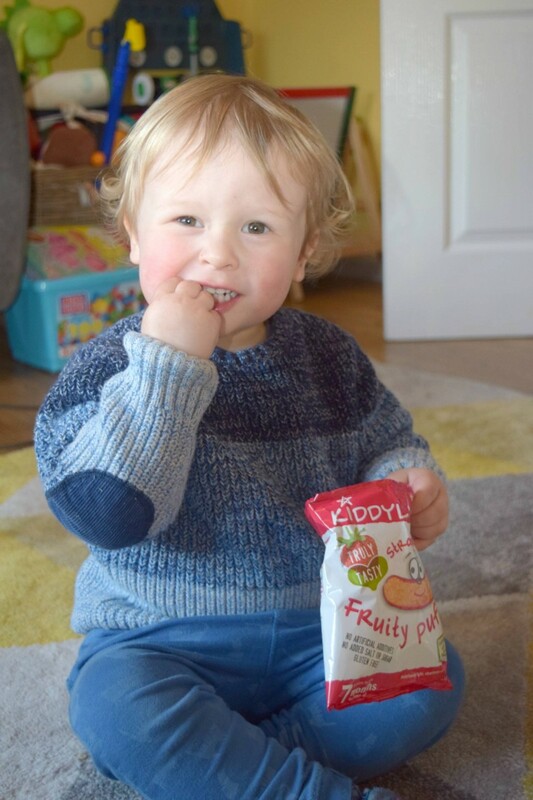 I’d thoroughly recommend Kiddylicious for quick and healthy snacks and Oxotot for all of your snack storage solutions.